Former president and now House Speaker Gloria Macapagal-Arroyo on Tuesday declared her full support for the Hugpong ng Pagbabago (HNP) senatorial slate of Davao City Mayor Sara Duterte. “All out, all out,” Arroyo told reporters when asked of her commitment to the HNP candidates following the party’s campaign kickoff in the vote-rich province of Pampanga. The HNP candidates are former Special Assistant to the President Christopher Lawrence “Bong” Go, former political adviser Francis Tolentino, former Philippine National Police (PNP) chief Ronald Dela Rosa, Maguindanao Rep. Zajid Mangudadatu, reelectionist Senators Aquilino Pimentel III, Sonny Angara, Cynthia Villar and Joseph Victor Ejercito, Ilocos Norte Gov. Imee Marcos, former Senator Ramon Revilla Jr., Taguig City-Pateros Rep. Pia Cayetano and former journalist Jiggy Manicad. As part of her support to the HNP candidates, Arroyo said she is willing to join the team of Mayor Sara in future schedules. 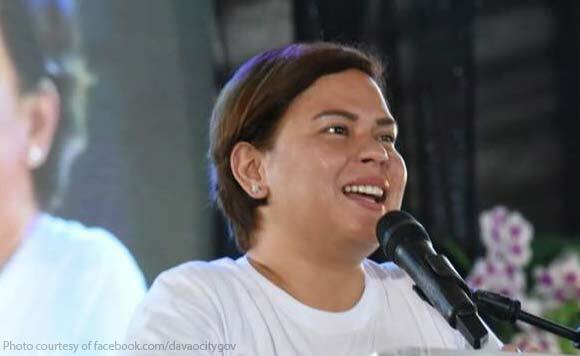 Arroyo thanked Sara for kicking-off her party’s senatorial campaign in her home province, as she noted that Pampanga ranked second in terms of biggest number of votes that then Mayor Rodrigo R. Duterte got outside of his bailiwick in Davao.